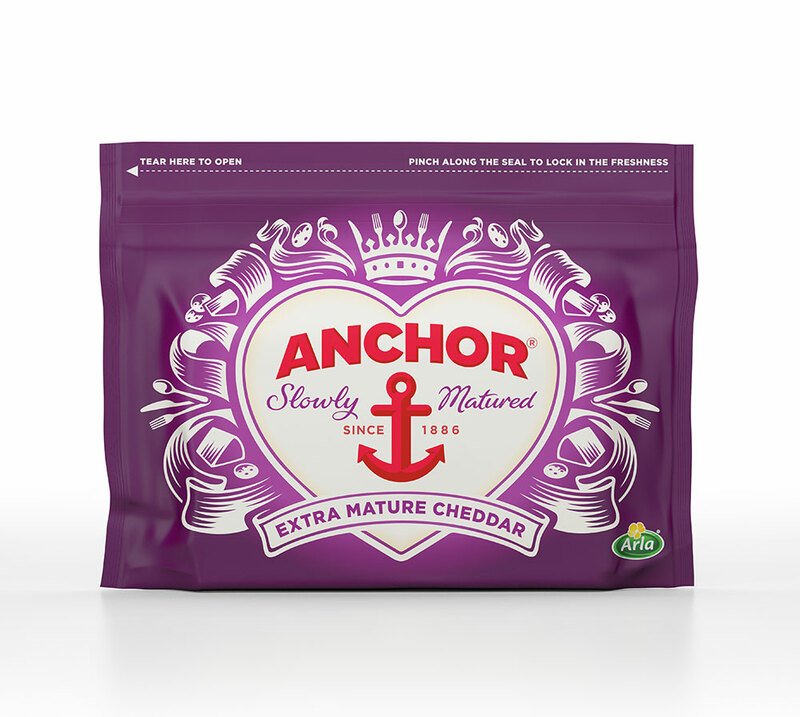 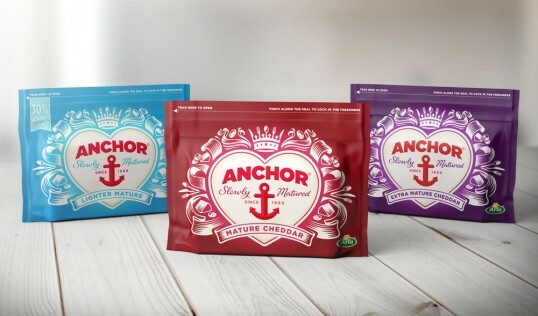 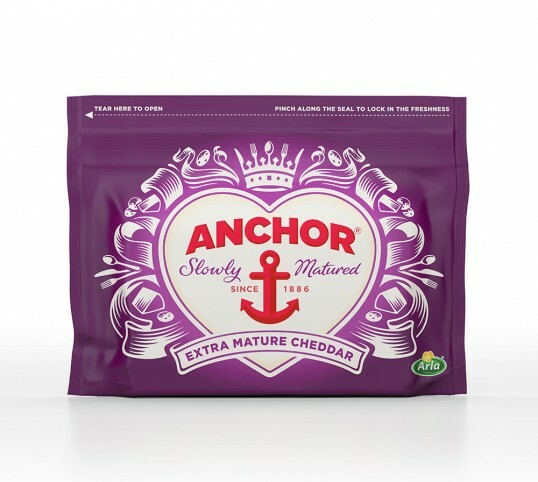 “Global brand design consultancy Elmwood has revealed a new packaging design for the cheddar range from much-loved brand Anchor®. The redesign comprises block cheddar in mature, extra mature and lighter, as well as sliced and grated variants, and will be rolled out across supermarkets nationwide from February 2014. 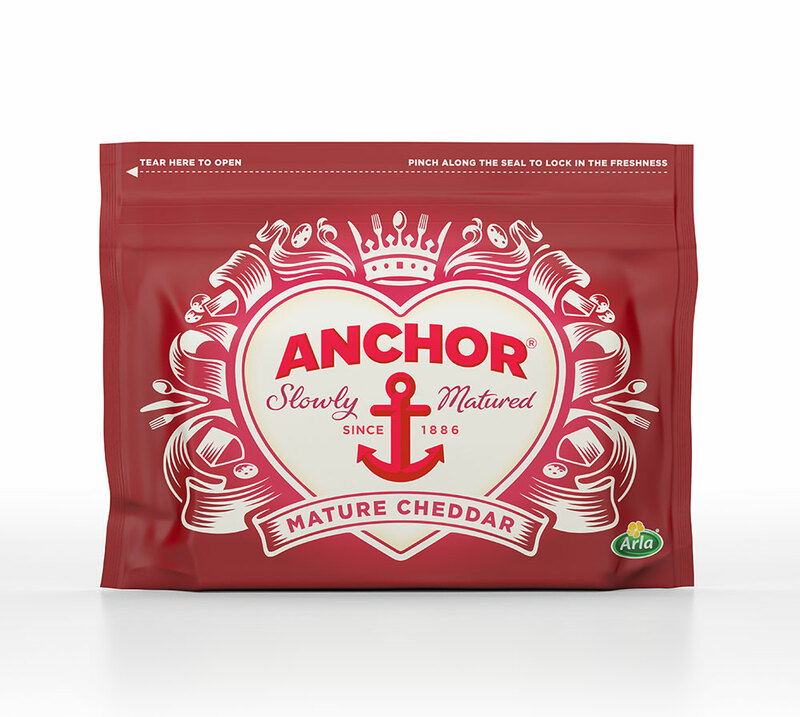 “Ensuring that the pack design was effective as well as attractive, Elmwood used rich, opulent colours to communicate the richness and fullness of the flavour. The new design features the individual colours for each variant across the entire pack to offer greater stand out on shelf and make the range easy to navigate for consumers. 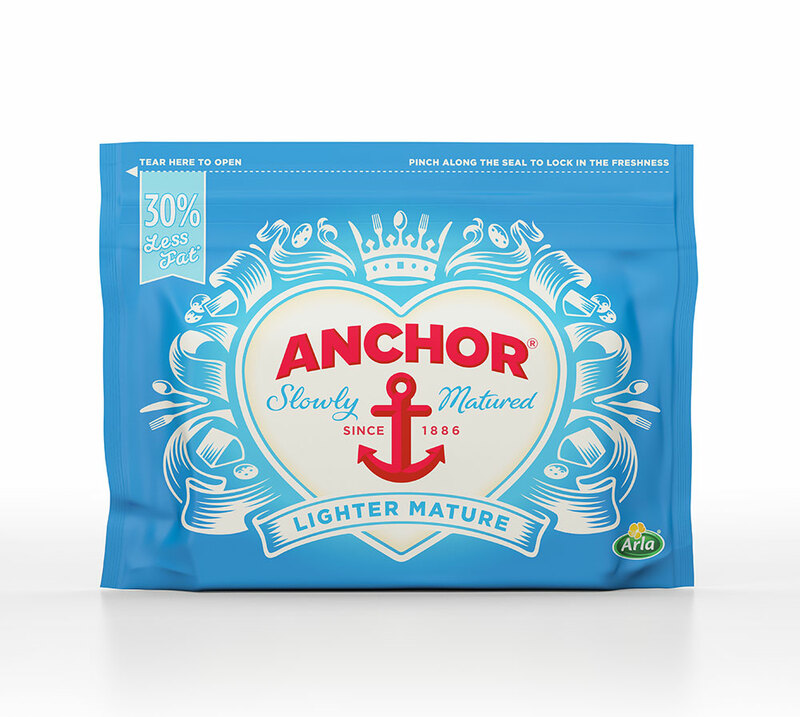 I don’t see the detergent element (stupid comment) it looks very homely. Nice one.